U.S. stocks had a surprising rebound Friday morning after steep declines Wednesday and Thursday that President Donald Trump attributed Thursday to rising interest rates caused by the Federal Reserve. The Dow Jones Industrial Average lost more than 1,300 points Wednesday and Thursday but “jumped about 400 points almost immediately after the market opened, adding back 1.6 percent” Friday, reported NBC News. It had fallen back down to a 242-point jump later Friday morning, reported The Wall Street Journal. The S&P 500 had gained 1.3 percent and the Nasdaq Composite had gained 2 percent as of Friday morning despite being “on track to end the week sharply lower,” reported The WSJ. Wednesday and Thursday were the worst days since February for many stock markets around the world including the U.S., due in part to rising oil prices and trade tensions between the U.S. and China, reported The WSJ. Markets in Europe, Japan and Hong Kong also saw gains Friday morning, reported The WSJ. Netflix and Amazon had “some of the biggest casualties” in the stock market this week but things were looking much better for them Friday morning with a roughly 5 percent gain for Netflix and roughly 4 percent gain for Amazon, reported The WSJ. 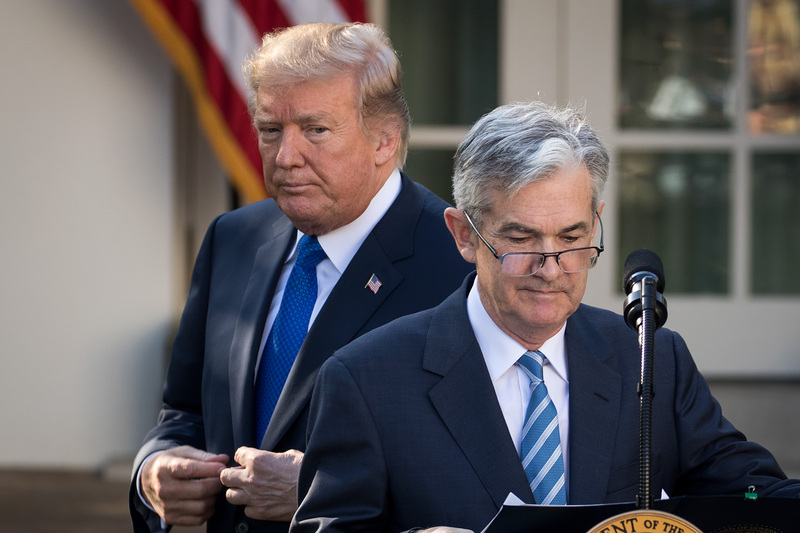 Trump blamed the Dow’s 800-point drop Wednesday on the Federal Reserve, from the Oval Office Thursday. The Federal Reserve has raised short-term interest rates three times so far in 2018, reported NBC News.